Please read through our Terms and Conditions carefully before placing your order. The contract between us is governed by English law. Our Data Protection policy is also included below. Cheap Rope is a division of AIC Trading Limited and this site is operated by that company. All products supplied by Cheap Rope are guaranteed against manufacturing defects for a minimum period of 12 months. Your statutory rights are unaffected. Orders may be cancelled before despatch either by email or telephone. Full refunds will be made on cancelled orders, if order is cancelled before despatch. Refunds will be made if goods supplied do not meet your expectations, provided they are returned within 7 days of delivery and are unused and in original condition. Refunds on cut lengths of rope will subject to a 25% reduction. Carriage charges will not be refunded. Proof of purchase must be enclosed. A minimum standard as described on the web pages will be maintained, but variations in colour and texture may occur. This is particularly relevant to ropes produced from natural fibres. Actual diameters of rope may vary slightly from stated rope diameters. Ropes produced from natural fibres will expand and shrink as they absorb or release water. Please check before purchase for amount of variation. All cut lengths supplied will be to exact, or over, ordered length. We reserve the right to supply similar specification goods from different manufacturers. Prices paid are as described on the website. While we try to ensure that all prices are accurate, errors may occur. If an error in pricing is discovered we will inform you as soon as possible and give you the opportunity of cancelling the order or reordering at the correct price. If we are unable to contact you then the order will be cancelled automatically. When you use this site you will be asked to provide certain information, such as your contact details. We will store this data and hold it on computers or otherwise. We will use this data to fulfil our agreement with you. We will take all reasonable steps to protect your personal information, however, we cannot guarantee the security of any data you disclose on-line. You accept the inherent security risks of providing information and dealing on-line over the Internet and will not hold us responsible for any breach of security unless this is due to our negligence or wilful default. 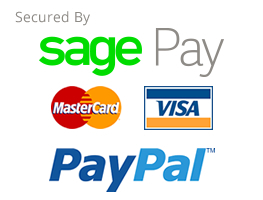 For payments made by credit card, card details are transmitted to our office via an encrypted program. Customer card details are not held on our systems after completion of an order. You have the right to see personal data (as defined in the Data Protection Act) that we keep about you on receipt of a written request. A fee may be charged. If you are concerned that any of the information we hold on you may be incorrect, or to resolve any dispute, please contact us in writing.